In a development that should put Nigeria’s oil managers and the political leadership in shame, Nigeria, Africa’s largest oil producer has begun to import refined diesel fuel from Niger, its northern neighbour, oil market traders and truck drivers said on Monday. Fuel (gas) stations in the northern city of Katsina on the border with Niger stock diesel imported from Niger’s Soraz refinery in Zinder, 80 kilometres (50 miles) from the border with Nigeria. 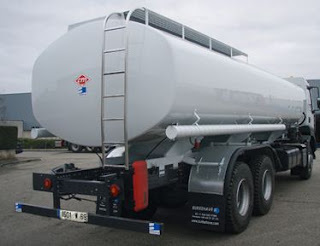 “We have imported 90 trucks of diesel from Niger in the past four months in three batches of 30 trucks each, Lawal Dahiru Mangal, a fuel market trader in Katsina told AFP. “We secured import licence from the (Nigerian) government for the importation of diesel from the Soraz refinery in Niger which we supply fuel stations in Katsina and neighbouring towns”, said Mangal of MD Mangal petroleum company. Nigeria, world’s eighth largest oil producer, relies on fuel imports from some foreign countries to meet domestic demands as its four refineries, with a combined installed capacity of 445,000 barrels per day, are under-performing. They have been grounded for years due largely to corruption and mismanagement. It produces about 2.2 million barrels of crude per day which it exports and imports refined fuel. Niger-refined diesel is cheaper than the one Nigeria imports from other countries, Mangal said. A litre of Niger-imported diesel sells at 160 naira (one dollar) in Katsina compared to 170 naira it sells in other parts of the country. “We source diesel from Mangal petroleum which imports its consignment from Niger,” Abddullahi Maikaita, a fuel attendant at a filling station in Katsina said. In 2000 Nigeria removed its subsidy on diesel. Last November, Niger opened its first refinery in Zinder following the discovery of oil in Agadem, 700 kilometres east of its capital Niamey with a daily production capacity of 20,000 bpd. Where are we going in Nigeria? Backward or forward? God have mercy ooo.